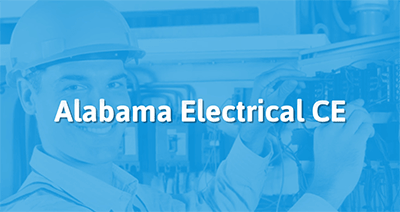 Our courses are approved by the state of Alabama to satisfy your electrician continuing education requirements (Alabama Electrical Contractor Provider #CEP036). Complete the continuing education to renew your AL electricians license today. All of our courses can be completed At Your Pace Online to help you meet the state's requirements to maintain your license. Once you finish your class you will have an official certificate of completion to save for your records, and we will report your course completion to the state for you. In the state of Alabama, licensed electrical contractors and provisional electrical contractors are required to obtain 14 hours of continuing education every two years. All Electricians will need to complete their continuing education by March 30th, June 30th, September 30th, or December 30th. You may also carry a maximum of 6 excess continuing education credits over to the next renewal period. This is to inform you that your annual registration to remain an active Continuing Education Provider for the Alabama Board of Electrical Contractors was received and approved. 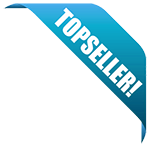 Your contact information will be listed on our website. Please forward any changes in courses, additional courses, or other information you feel would be prudent for your provider file here in the Board office. The Board appreciates your eagerness to remain a provider and looks forward to working with you for licensees to meet their continuing education requirements. Please do not hesitate to contact me should you have any questions. This is to inform you that your new course submittals were received and approved by the Alabama Electrical Contractor's Board. The Board approeciates your eagerness to remain a provider and looks forward to working with you for licensees to meet their continuing education requirements. Please do not hesitate to contact me should you have any questions.